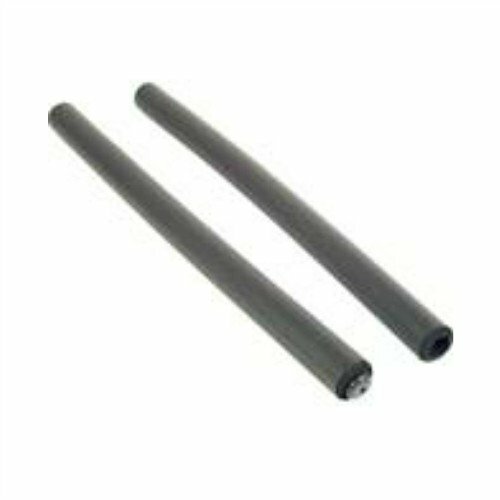 TreadLife Fitness Exercise Bike Replacement Foam Grips. 20 3/8" Long x 7/8" Diameter. Can be cut if you need a shorter length or if you have hand held pulse grips. Applying the handles: Once old grips are removed, squirt 2 sprays of windex into the grips, also ad a spray to the handle bar, this will make it easier to slide the new grips on, wait a couple hours for the windex to dry and you'll be good to go. Applying the handles: Once old grips are removed, squirt 2 sprays of windex into the grips, also ad a spray to the handle bar, this will make it easier to slide the new grips on, wait a couple hours for the windex to dry and you'll be good to go. If you have any questions about this product by TreadLife Fitness, contact us by completing and submitting the form below. If you are looking for a specif part number, please include it with your message.